Kris Bolin has lived in Antioch for nearly 34 years. 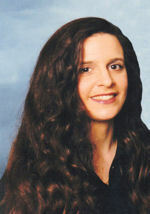 Kris taught music in the Antioch District 34 school system for 24 years. A few years ago She was ask to take over the duties as choral director for the FAA choir when Ralph Brook retired and has been conducting and sometimes singing with the group ever since. Chris says that working on musicals and concerts is a welcome change of pace from her full-time career as a financial adviser. She has studied piano and music since the age of four. Chris has been the Music Director for many musicals directed by Ken Smouse: Guys and Dolls, A Little Night Music, and Sweeney Todd at PM&L Theatre; The Triumph of Love and You’re a Good Man Charlie Brown at Memorial Hall in Richmond; Italian Opera for the Bowen Park Opera Company; and for Festival Arts of Antioch Side by Side by Sondheim and Broadway etc. at Maravelas in Fox Lake, and pianist for productions of Handel’s Messiah. Bill is the Band President of the Lakes Area Community Band. Bill is also a member of and plays lead trumpet in the Lakes Area Swing Band. Debbie maintains ties with her hometown through her involvement with Festival Arts. You’ll find her working behind the scenes as the designer of all printed materials that promote our events to the community. Among her many artistic talents is her passion for glass blowing and bead making molten glass, now thats hot. Professionally, Debbie is a senior graphic designer working primarily in the packaging industry. And yes, you have probably seen a sample of her work on the shelves of your local retail and grocery stores. Becky has been a member of the Festival Arts of Antioch board for several years. She is responsible for organizing singers and picking out music for the smaller choirs representing the Community Chorus. These include the “Carolers” that have been singing at the Lakes Area Band Christmas Concert for the last 5 years. This group has also sung at other venues. Becky has also been responsible for the chorus that sings with the band at the opening of the band shell in the summer and the chorus that sings during the 4th of July celebration put on by the village of Antioch. She is a retired state of Illinois employee and a retired teacher. She has been a Sweet Adeline for 23 years and currently with Riverport Chorus, Bristol, Wisconsin. Becky is on their music team and a section leader in the chorus. Jim Olson lives in Pleasant Prairie, Wisconsin with my wife, Alice. He’s retired from a career with Abbott Laboratories where he was employed primarily as a research scientist and product specialist in the Diagnostics Division. Since retiring, he’s continued to pursue a life-long interest in woodworking as well as music and theater. He’s been involved with the Palette, Masque and Lyre Theater in Antioch since 2001 and the Antioch Festival of the Arts Board of Directors since 2012. Mary Solof, better known as “Cookie,” has participated in different artistic endeavors here in Antioch for over 35 years. Her long history with the arts in Antioch started in 1978 when Ken Smouse chose her to be the grandmother in PM&L’s “Pippin.” Her work with Ken continued with The Fool’s Players (performer and costumer), student teacher(her)/supervisor(Ken), and finally with The Festival Arts of Antioch as Treasurer and now General Board Member. She has a B.A. in Theatre/Dance from Barat College in Lake Forest, IL and graduate level classes in Communication/Media/Theatre from Northeastern Illinois University. 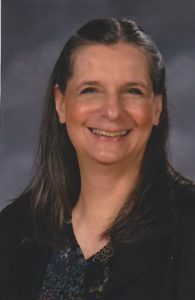 She just retired from teaching and directing drama and communications from Wauconda CUSD 118 after 20 years of service..
Chris Heilgeist grew up in the Antioch area and attended Antioch community high school. A music major in college, Chris has performed on stage and in the pit orchestra for many area theaters. Tim Montalvo is a graduate of Antioch High School,class of 1985, and he graduated from DePaul University in Chicago with a BA in Violin Performance. Former violin professors have included Mark Zinger and Hilel Kagan with individual master class performances with Ruben Gonzales, Samuel Maggad and Dorothy Delay. Tim has performed with the Festival Arts of Antioch for many years and is currently a freelance musician in the Chicago are and has played for different orchestras including; the Rockford Symphony, the Zion Chamber Orchestra, the Waukegan Symphony, the Chicago Civic Orchestra, the Lake Shore Symphony, Northwest Indiana Symphony, and the Classical Symphony Orchestra of Chicago. Betty met Ken in the Drama Dept. at Hope College in Holland Michigan 60 years ago, and after 58 years of marriage they are still celebrating the arts. Betty is a retired pediatric nurse, mother of 5, grandmother of 6, and “Nana” (great grandma) of 1. She is very active in the United Methodist Church, PM&L Theatre, and Festival Arts of Antioch, serving as secretary. Her hobbies are singing, reading and traveling. (1929-2015) Since his retirement from teaching at Antioch Community High School (English, Vocal Music, Theatre and Speech) Ken has managed to keep busy as a free lance director, producer, designer and actor. He has continued his work with PM&L Theatre, Inc. of which he was co-founder. In addition he, with co-founder Dr. Lynn Schornick, created the Bowen Park Opera and Bowen Park Theatre Companies and served as the director of the theatre company for five years and of the opera company for nine years. He was also a founder/director of The Memorial Hall Theatre in Richmond, IL as well as the first director for the Arlington Repertory Theatre. He is particularly proud of having rewritten, re-scored, produced and directed the original opera, FRANCESCO by Father William Jabusch, based on the life of St. Francis of Assisi. Currently, he is developing the theatre ministry in his home church, The United Methodist Church of Antioch. (1928-2015) Music is the foundation of Mabel Lou’s life. She is very proud to be a founding member of the Festival Arts of Antioch and plans to continue to be an active part of this organization. She has been the organist at the United Church of Antioch for many years and plans to be there for the foreseeable future. Mabel Lou is active in the General Federation of Women’s Clubs and was the GFWC International Musician, 2006-2008. She still assists at the GFWC State and Regional Conferences. She served as a Trustee for the Village of Antioch for 18 years and as well as serving on many Village committees. She is affiliated with many other civic and fraternal organizations to numerous to mention. Mabel Lou has dedicated her life to serving her fellow citizens.